The Journal of Theology is available free online or as a subscription-based print publication. 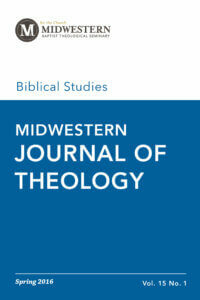 Rates for the printed Journal are $20 for one year, $35 for two years, and $50 for three years. To read more informative and pertinent articles on today’s hottest topics, please subscribe by clicking on the link below or by contacting the editor, Dr. Michael D. McMullen, by phone at (816) 414-3700. 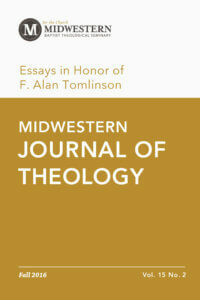 Midwestern Seminary’s Academic Division released its Fall 2018 issue of the Midwestern Journal of Theology on Dec. 6, featuring five scholarly articles covering topics such as an analysis of Colossians 3:5, a study of letters penned by John Newton to William Wilberforce, and a lecture on the conversion of the revered British preacher, C.H. Spurgeon. 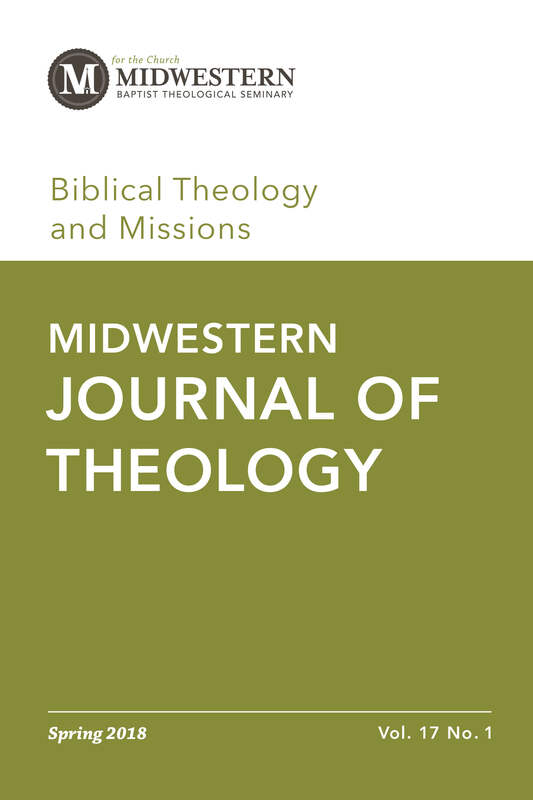 This issue of the MJT begins with an article from Midwestern Seminary’s Fall 2018 Faculty Address, as delivered by recently-retired, longtime faculty member, Alan Tomlinson. In the article, Tomlinson delves into Colossians 3:5, exploring the topic “An Evocative Vocative: Members (of Christ’s Body) upon the Earth.” Within the essay, Tomlinson explains his justification for interpreting “the members upon the earth,” within Colossians 3:5 as relating to the authority of Christ. We have also published an important addition to John Newton and William Wilberforce studies, by established Newton scholar, Marylynn Rouse. Her article is cutting edge, presenting as it does, primary material much of which was previously unpublished. The first of our final three articles is from Midwestern professor, Matthew Millsap, with his very intriguing, ‘Infinite Dominion: No Man’s Sky and the Cultural Mandate’. In his article Millsap argues that the video game No Man’s Sky, is so phenomenally popular because of its correlation to the cultural mandate found in Genesis 1:26-28. 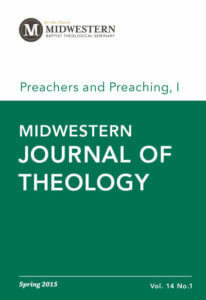 Our penultimate article is a very helpful assessment of John Owen’s influence upon Andrew Fuller, by David Norman, an adjunct professor at Midwestern. 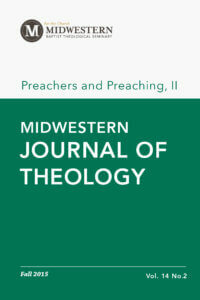 Our final article is a thought-provoking piece from Midwestern’ s Provost Jason Duesing, in which he recounts and analyses the events surrounding the conversion of Charles Spurgeon. Our final article is a thought-provoking piece from Midwestern’s Provost Jason Duesing, in which he recounts and analyses the events surrounding the conversion of Charles Spurgeon. 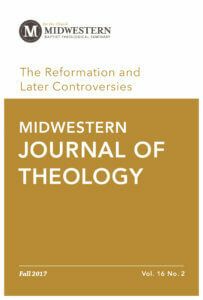 We again conclude this issue of the MJT with several relevant and thought provoking book reviews, helpfully secured and edited by Dr. Blake Hearson.